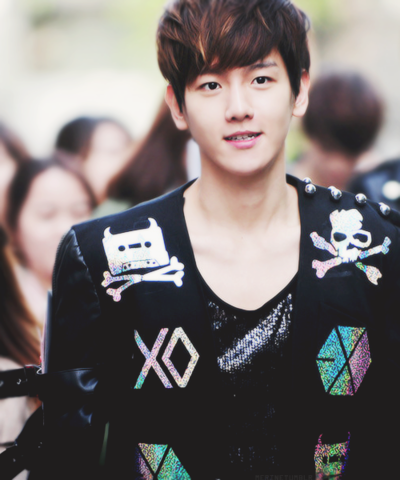 Baekhyun ~♥. . Wallpaper and background images in the EXO-K club tagged: exo-k baek hyun gretulee. This EXO-K fan art might contain prendas de vestir exteriores, overclothes, prendas de abrigo, ropa de abrigo, manchó, desgaste de ocio, and ropa de ocio.